A very useful piece of equipment for the home brewer - Made in Britain, supplied in a FREE plastic trial jar. 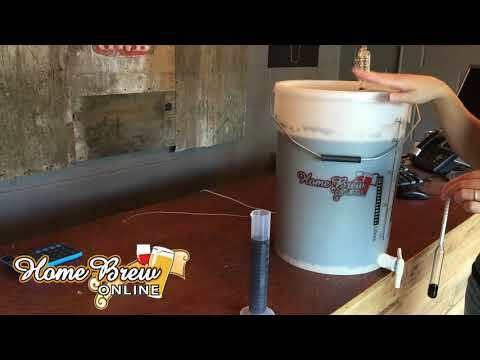 Hydrometers are very useful when moving beer or wine from a primary fermenter to a secondary vessel. When a constant reading is achieved it is possible to accurately tell that the first stage of fermentation has finished. In Home Wine and Beer making, you can control the sweetness and alcohol content of your wine and beer by measuring the specific gravity of the liquid with a hydrometer. It will help prevent bottling or transferring to keg too early. Showing 2 of our total 9 reviews, with an average rating of 5 stars. Read all 9 reviews for Stevenson Hydrometer With Trial Jar Case. Great product and indispensable for a serious brewer.